Two strong earthquakes hit the Indonesian island of Lombok on Sunday, while the nation is still reeling from the 6.9 magnitude quake that claimed over 430 lives on August 5. The US Geological Survey reported that a magnitude 7.2 earthquake struck in the sea 124 km (75 miles) north-northeast of the holiday island of Lombok, Indonesia, on Sunday at a very shallow depth of 1 km. No tsunami alert has followed the report. Earlier in the day, the US Geological Survey reported of a quake with the epicenter detected at a depth of 7.9 km (4 miles) near the town of Sembalun Lawang, in an area of recently-hit Lombok island. However, there is currently no information on damage or casualties yet. 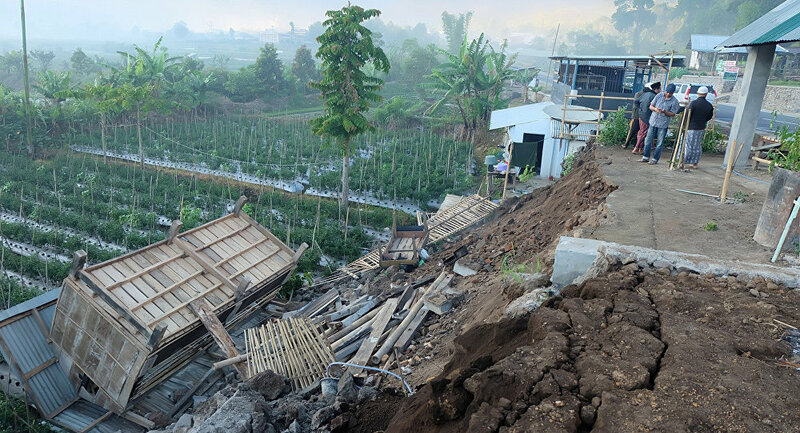 The island of more than three million people, located immediately to the east of Bali, was pummeled two weeks ago by a devastating earthquake that claimed over 430 lives and damaged thousands of homes. Indonesia is located in a seismically active zone known as the Ring of Fire and regularly suffer from powerful earthquakes. Hundreds of thousands died in 2004 when the most powerful earthquake at that time hit Sumatra's Aceh region, triggering a tsunami in several states bordering the Indian Ocean. On Sunday, a number of states of the Ring of Fire suffered from earthquakes including Colombia, Fiji, Japan and Russia.